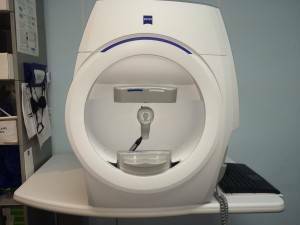 The Cirrus OCT uses cutting-edge technology to provide you with comprehensive imaging and measurement of glaucoma and retinal disease. 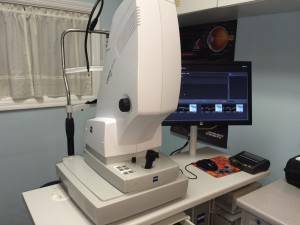 It optimizes the diagnosis and monitoring of retinal disease and greatly enhances pre- and post-therapy assessment. The device is beneficial for the evaluation of cataract patients, pre- and post-operatively, for the assessment of early signs of glaucoma, and for monitoring for glaucomatous change.The Cirrus OCT is also very valuable in monitoring the status of macular degeneration and greatly enhances pre- and post-therapy assessment.